We had these potatoes as a staple in my family growing up. Add potatoes to large saucepan and cover with water. Bring to a boil and simmer until just done, but not mushy, 12-15 minutes (check often). 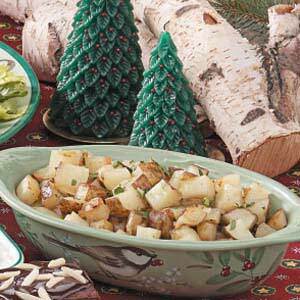 Drain potatoes and toss with the butter mixture. Serve immediately.